Another successful stamping day. I even did grocery shopping and fed the crew a yummy dinner : ) I will get to blogs as I can, I really am trying hard to complete the Falliday challenges- another week.....we'll see! 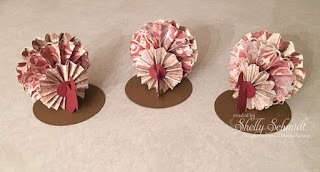 I worked on a couple of the Falliday Tutorials today and a couple of cards too. This is a fun easy and cute little hat. This card is to showcase our favorite Holiday food. I LOVE pumpkin pie. This is a Clear Dollar Stamp image, sentiment is unknown, but I think it is Eureka Stamps. 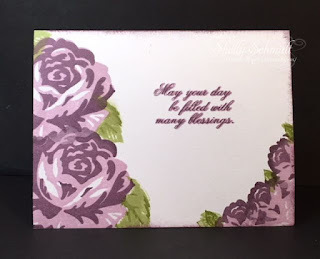 And, I made a card for the wallflower challenge- stamp your image off the corner. I used an old set called Cottage Rose- still mounted on wood too! 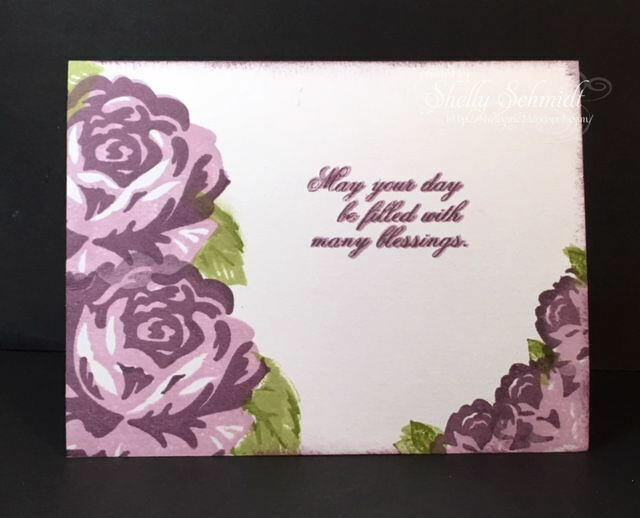 LOL This set is Stampin Up and I used Pale Plum and Plum for the flowers. Sentiment is Sweet and Sassy. I didn't end up getting any of the tutorial done! I am so impressed with what you have created here! 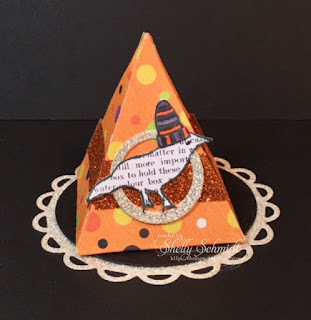 The turkeys and witch hat look like so much fun!! And, of course, the pretty cards!!! Well done, Shelly! Shelly, wow!!! Those turkeys are just adorable and so is the witch hat. Great cards! You are on such a creative roll can't wait to see what you come up with next. Gorgeous cards Shelly, and those turkeys are so cute!! Your work is so beautiful. Love the turkeys. Are you making enough for place settings? Glad you had time to play in the challenges. I have been following your Falliday projects in my inbox. You're certainly busy enjoying yourself crafting & I hope you get the Yeti. The turkeys here are darn cute. Oh my goodness... you have been busy, Shelly! These are amazing!